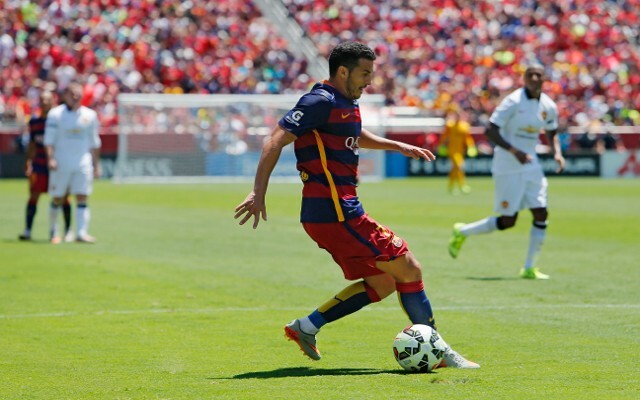 Manchester United are set to face strong competition from fierce local rivals Manchester City for the signing of Barcelona superstar Pedro, according to reports in Spain. The 28-year-old has been heavily tipped to leave the Catalan giants during the current transfer window after finding first-team opportunities limited last season and it appeared that a switch to Old Trafford was his most likely destination as he is regarded as a perfect replacement for Angel Di Maria, who joined Ligue 1 champions Paris Saint-Germain last week. However, Spanish publication Mundo Deportivo claim that City are genuinely in Pedro and negotiations have begun for the winger who has a reported £22million buy-out clause in his contract at the Camp Nou. City potentially hold the advantage over their rivals for the Spaniard’s signature as sporting director Txiki Begiristain has worked with Pedro in the past at Barca and that could persuade the winger into joining the Etihad Stadium outfit.